Inspired by the beauty of Persian Calligraphy, this is our newest performance piece, currently in its research and development stages. 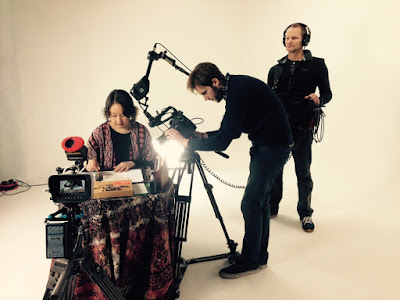 Calligraphy In Motion is set to be a fantastical 1-hour film complete with live music, performed by world-renowned artists of various cultures and backgrounds. The concept for this piece was created by our very own Artistic Director Sarvar Sabri, who will be composing, directing and performing throughout. Join us in exploring the true grace and artistic value of Persian calligraphy with this wonderful new piece. We are pleased to announce that our first sharing of this incredible new venture will be at Flatpack Film Festival on Thursday 21st April! This is a completely free event.